The Philip loveseat is sure to enhance the look and enjoyment of your living area. 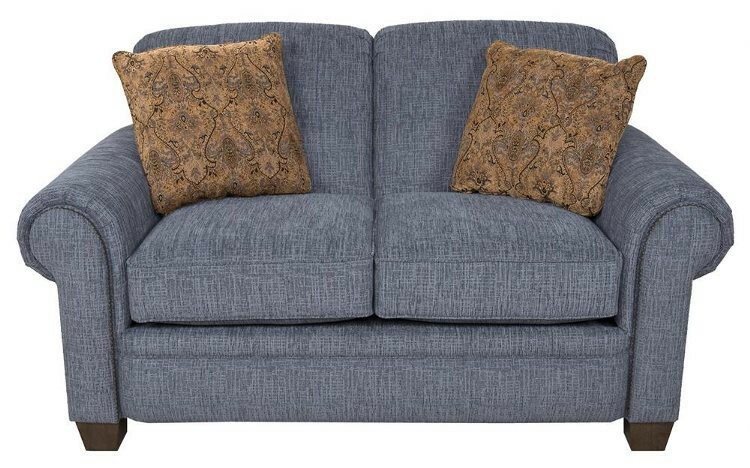 This great transitional loveseat, accented by a nail head trim, has a roll arm, an exposed tapered leg, and contrasting throw pillows. The Philip collection also is available in a coordinating sleeper, sofa, chair, and ottoman. England&apos;s Philip loveseat from Carolina Furniture is sure to enhance the look and enjoyment of your living area. This great transitional loveseat, accented by a nail head trim, has a roll arm, an exposed tapered leg, and contrasting throw pillows. 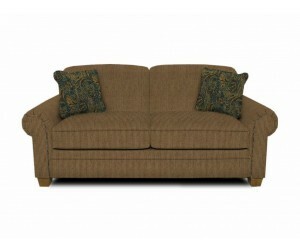 The Philip collection also is available in a coordinating sleeper, sofa, chair, and ottoman.